Joe R. Patranella graduated in 2011 from South Texas College of Law. During law school, he interned for two federal judges in the United States District Court for the Southern District of Texas – the Honorable Mary Milloy and the Honorable Calvin Botley. He also served as a law clerk for the Lower Colorado River Association and an intern to both the Tarrant and Harris County District Attorney’s Offices. While at South Texas College of Law, Joe was elected President of the Student Bar Association and served as an Assistant Editor on the South Texas Law Review, where two of his articles were selected for publication. 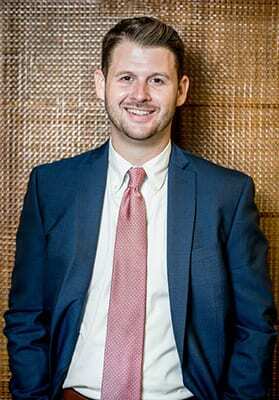 Additionally, he was selected to serve as a Langdell Scholar, tutoring fellow law students in the area of contract law and chosen to act as a research assistant for the South Texas Legal Research and Writing department. Joe has a broad practice which encompasses probate, oil and gas and water law, collection matters, and business litigation. In his spare time, Joe enjoys running, hunting, working on his family’s ranch and spending time with family and friends.